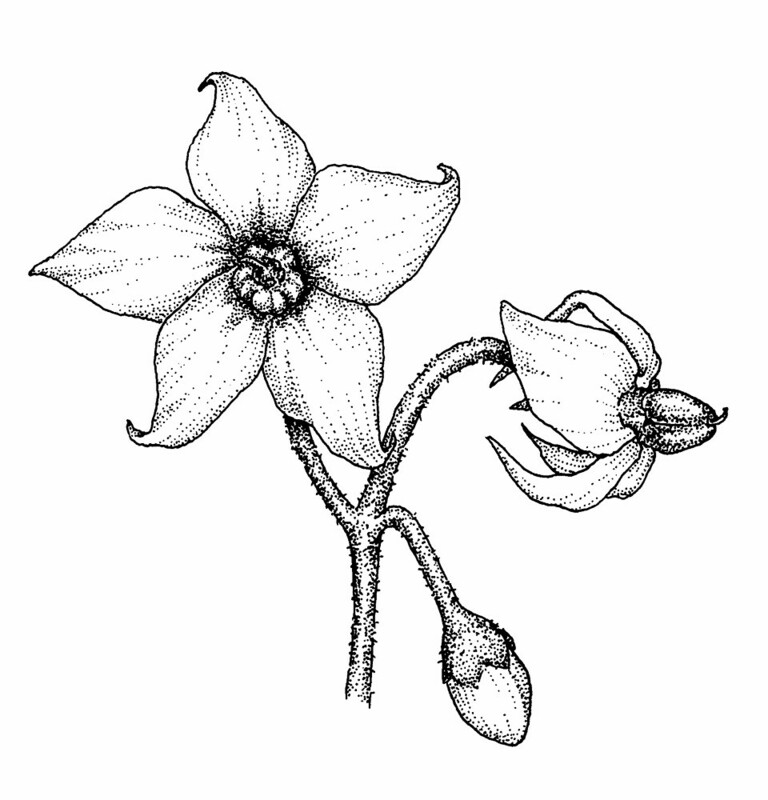 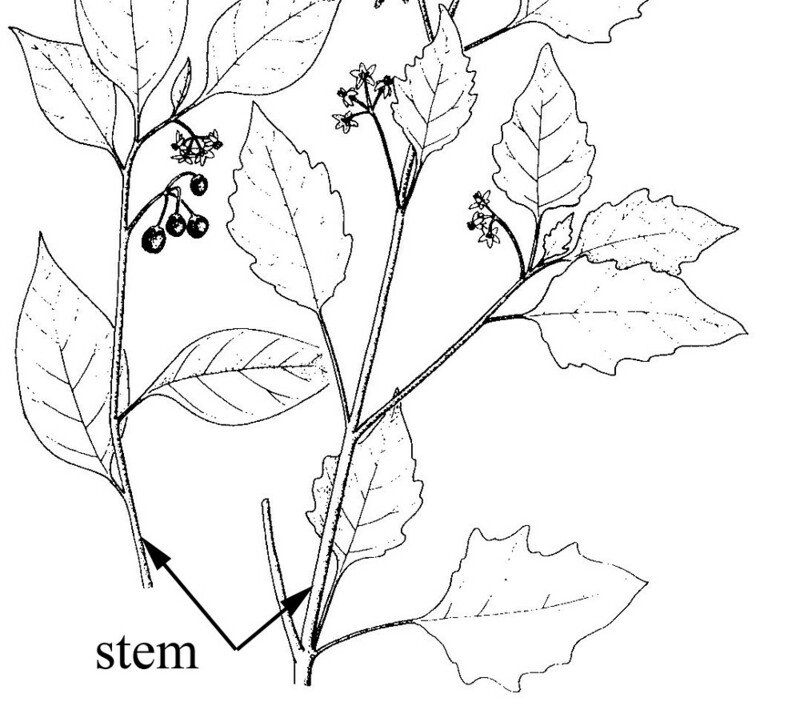 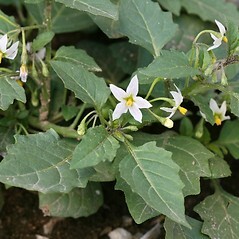 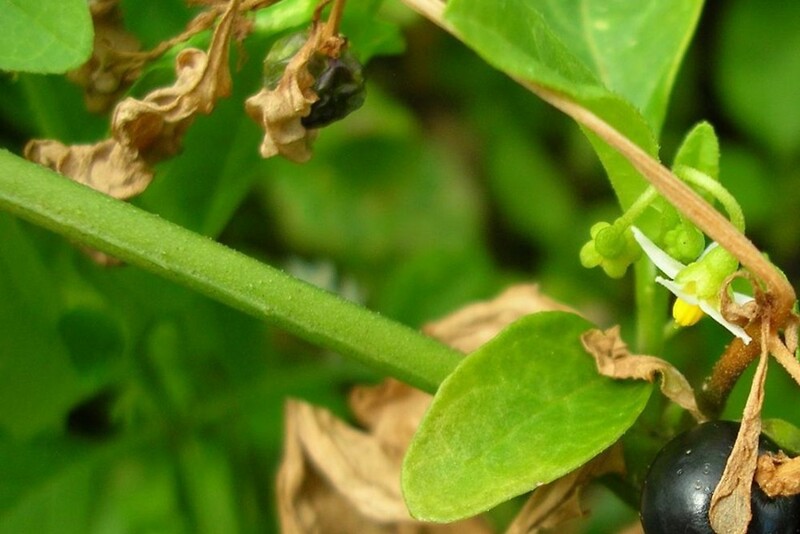 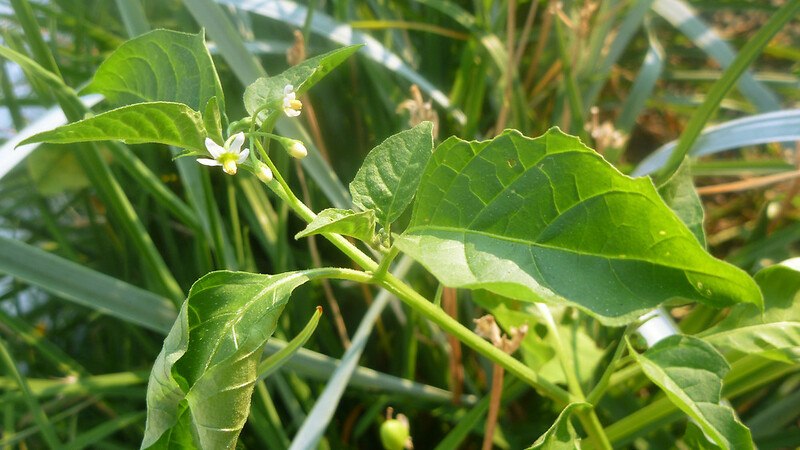 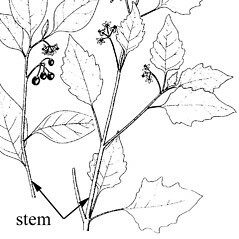 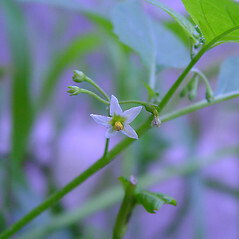 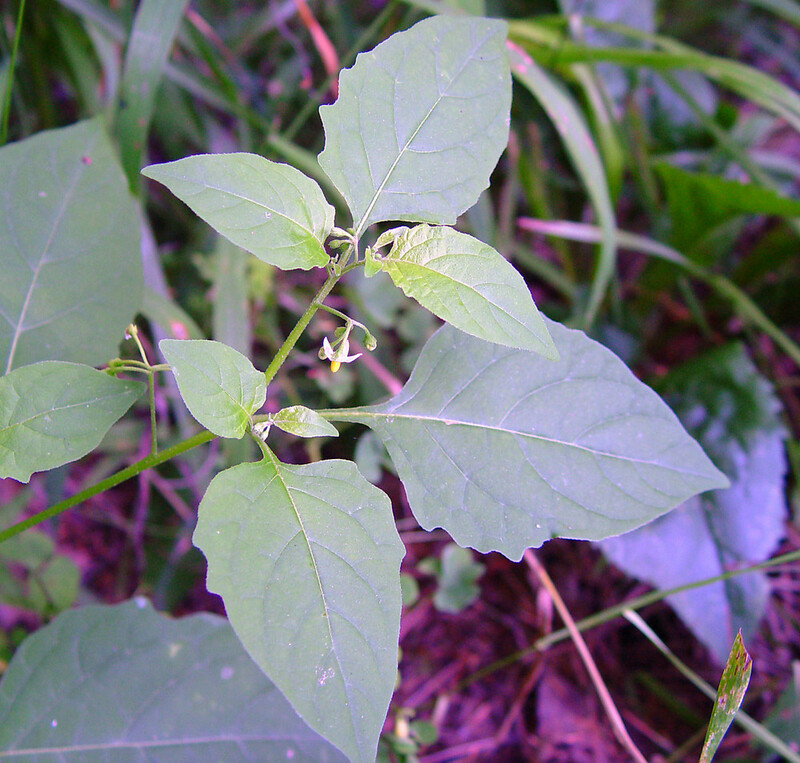 Eastern black nightshade is a native annual nightshade found in forests, swamps and beaches. 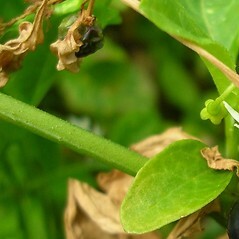 The fruits are black when ripe, and while it is commonly believed the entire plant is toxic, this species has edible parts when gathered at the correct time and/or prepared properly. 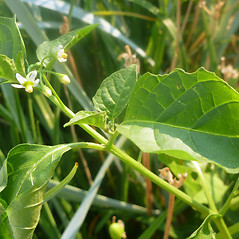 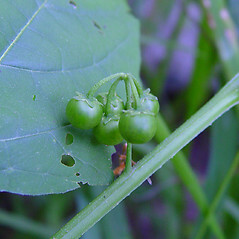 berries 8–13 mm wide, with 15–60 seeds 1.8–2.2 mm long, anthers 1.8–2.5 mm long, and inflorescence with usually 5–7 flowers (vs. S. ptycanthum, with berries 5–9 mm wide, with 50–110 seeds 1.4–1.8 mm long, anthers 1.3–2 mm long, and inflorescence with usually 1–4 flowers). 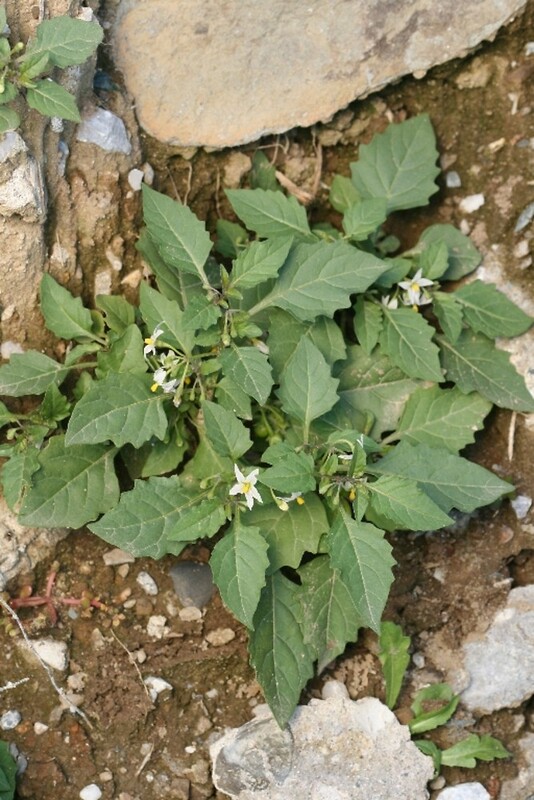 Solanum americanum, of authors not P. Mill. 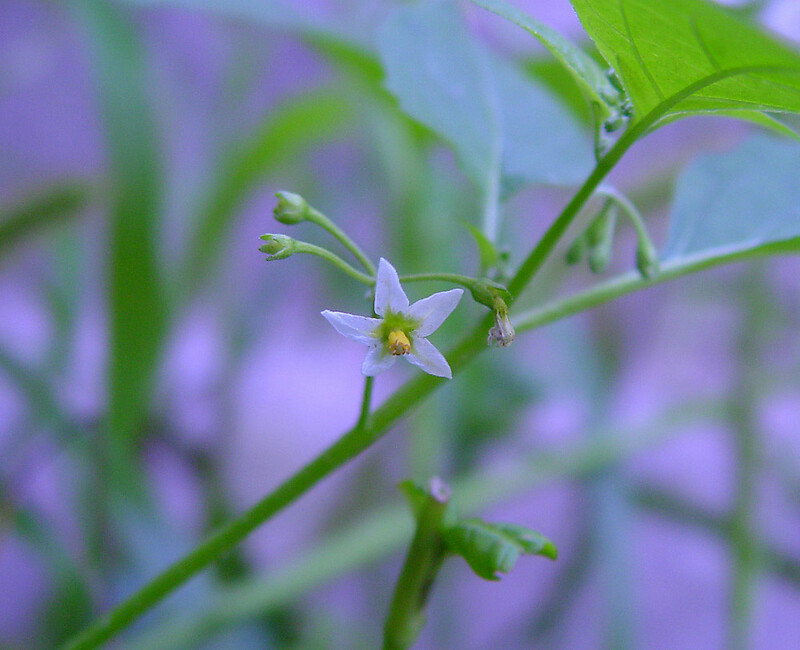 eastern black nightshade. 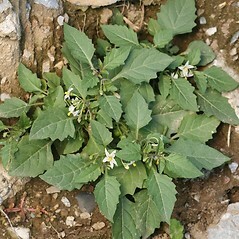 Solanum americanum, auct. 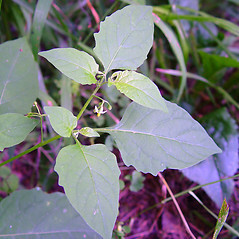 non P. Mill. 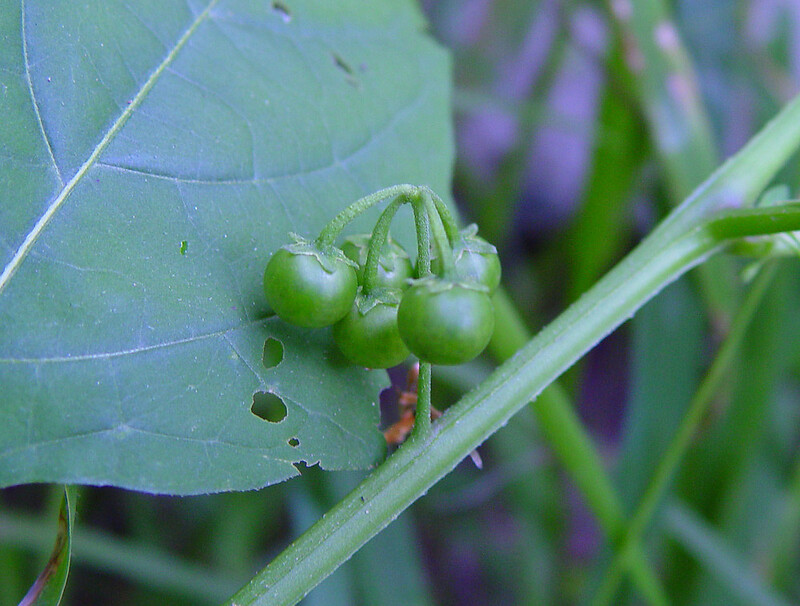 • CT, MA, ME, NH, RI, VT. Forests, swamps, shorelines, coastal beaches. 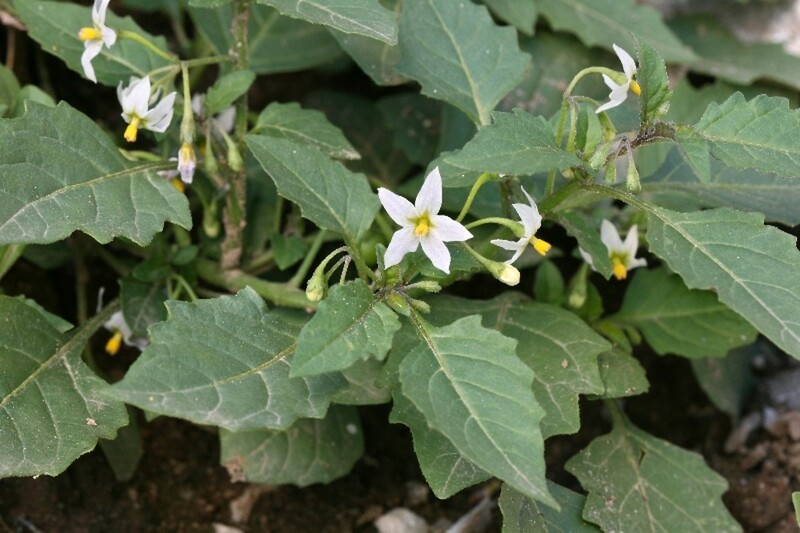 This species has long gone by the name Solanum americanum in regional literature. However, that species is restricted (in this country) to the southern United States (Schilling 1981).